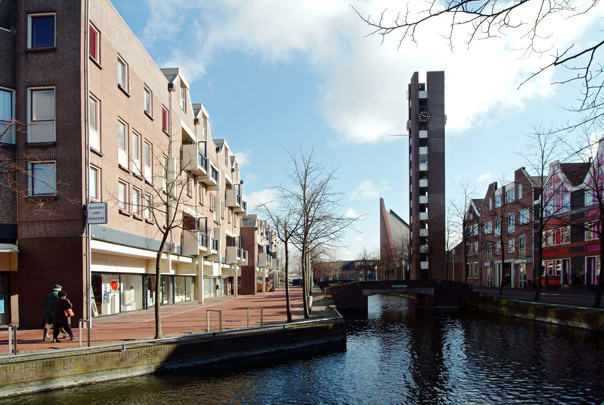 The centre and urban design of Almere-Haven are a reaction to the CIAM urbanism of Lelystad (a New Town built in the polder ten years before) and revert to the architecture and urban context of Amsterdam and the Zuiderzee towns: housing above shops, a pedestrian precinct with a market-place, and a canal. Houses are individually recognizable by their gables and the variations in height. Facades are brick-clad with concrete elements.